At the start of the 2010 NBA season we created an integrated campaign for adidas basketball to help launch the new adiZero Rose and Beast signature shoes. 180 LA was tasked with creating some hilarious and ridiculous TVC's so we went to work on the digital campaign creating an interactive video on YouTube. 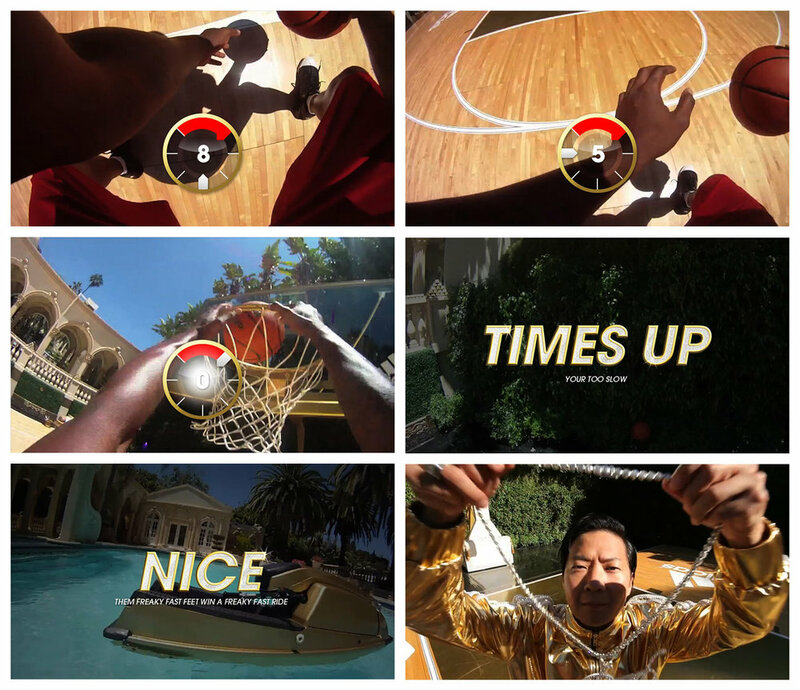 Shot in a POV style, users are taken behind the scenes to Slim's mansion and given the chance to ball with their man D Rose. From the start we wanted to literally put the user on the court and have a chance to play against Derrick Rose. Shot using a GoProCamera and a Canon 5D we were able to create a user controlled game that reacts to how fast you tap the keys. Just a fun little game with some hilarious Slim Chin videos to keep you entertained. Below are a few stills from the experience.